Make a reservation at Mason's Restaurant in Easton, MD, offering exceptional food, dessert, and wine - an upscale dining experience! 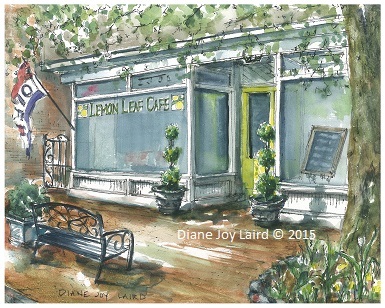 This beautiful 17" x 22" painting was completed in preparation for exhibition at Plein Air Easton 2014. The original painting is available. 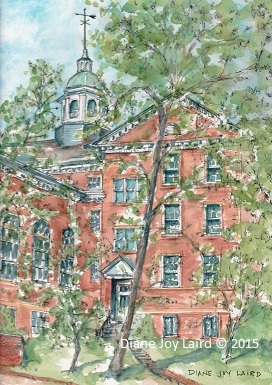 Please contact the artist for purchase information. Also available in prints and notecards. 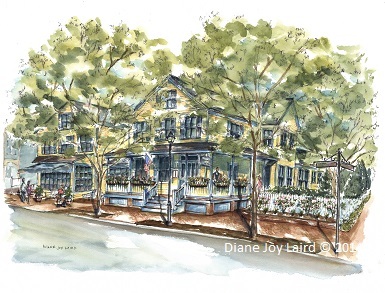 Located on High Street in Chestertown is the Lemon Leaf Café, and JR's Past Time Pub with bar and private dining with fireplace and acoustic live music in the adjoining space. 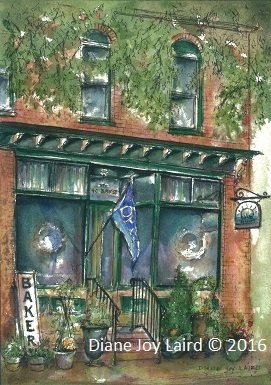 The "farm to table" Blacksmith Bar & Restaurant features upscale dining in a casual atmosphere. 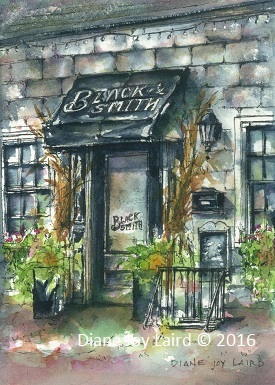 Visit the traditional Main Street America community of Berlin, MD to enjoy lunch and dinner at the Blacksmith.